Today was the end of an era. Don Orsillo, for the last time, called a game as the TV voice of the Boston Red Sox. Next season, Orsillo will be taking his wonderful talents to San Diego to become the voice of the Padres. We all knew this day was coming. I just can't believe it has finally happened. Don Orsillo's last broadcast for the Red Sox. Wow. Truly saddening. Orsillo had been calling Red Sox games for the past 15 years. It will definitely be strange not hearing his voice every night during the baseball season. Don is easily one of the best at what he does. His ability to make fans laugh is one of the things I love most about Orsillo. Whether it was the famous pizza throw or just getting a lamp, Don was always entertained at the simplest of things and he would always transfer over his amusement to us. In case you missed it, here are a few moments from Don Orsillo's final game today. Before the top of the 9th inning, Don bid his farewell to Sox Nation, a fan base that will miss him tremendously. In a perfect Don Orsillo fashion, he said what was on his mind in a simple, yet elegant way. 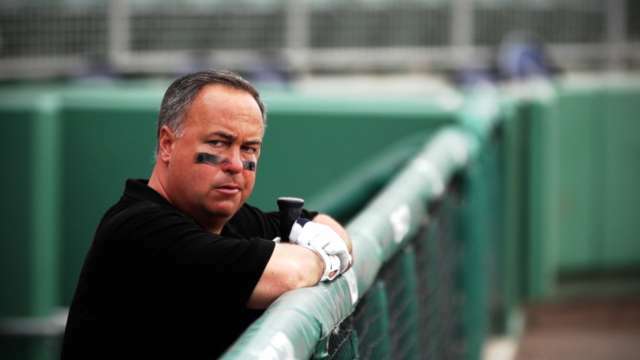 "Orsillo rounded third and headed home." Don's final sign off as a member of the Red Sox broadcast team. That will give me chills forever. We already know this, but it still needs to be said. Don Orsillo is a class act. He did not do anything that would warrant a change in the booth. He did not publicly rip NESN for taking away his dream job. Instead, he was a true professional. Sox fans, we are truly losing one of the best in the business. San Diego, appreciate what you are getting. Thanks for the memories Don. Best of luck in San Diego.